Gamers have had a fickle relationship over the years with virtual reality. Though the promise of fully immersing oneself into games has been the ultimate dream for many players, it has taken a long time for this curious piece of technology to fully realize its potential. 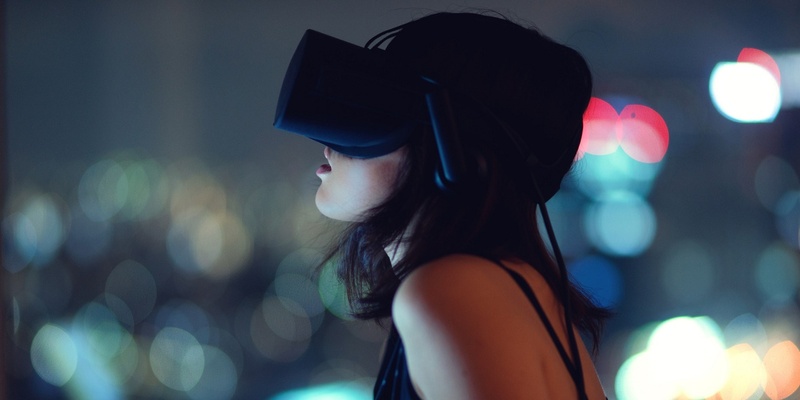 The methods of entertainment consumption have made massive leaps in recent years, and with the introduction of virtual reality headsets like the Oculus Rift, HTC Vive, and the PlayStation VR, there has been a huge resurgence of interest in virtual reality’s untapped potential. A fascinating example is the new state-of-the-art system incorporated into select locations of AMC Cinemas in the United States. These updated movie screens feature dramatically vibrant images, immersive, realistic audio and reclining seats that pulsate and rumble with the on-screen action. Some even include scents and temperature changes that should be right up to the alley of any fans of immersion, which is what gaming ultimately is. Before asking whether virtual reality is here to stay or is once again merely flirting with us, let us take a look at some of the highlights of its surprisingly long history. 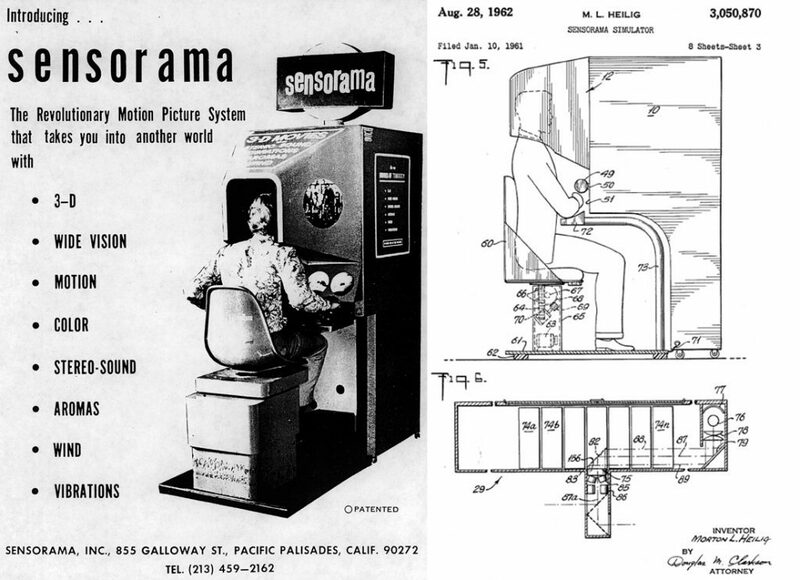 In the 1960s, a cinematographer by the name of Morton Heilig developed a prototype for a unique device known as the Sensorama. Featuring an arcade-style theater cabinet, its aim was to stimulate every sense that an individual possessed, in order to provide a feeling of immersion while watching a film. It featured a stereoscopic 3D display, fans and smell generators, stereo speakers, and a vibrating chair. In the end, its greatest enemy was a lack of funding. While Heilig could not achieve the required capital to begin mass production or even patents, a working prototype still exists to this day. Nintendo has always been ahead of the curve regarding innovation. They have basically run the portable gaming world ever since the Gameboy, and have continued to help bring the mainstream world into gaming, although not every idea has been quite as successful. There have been hiccoughs along the way, and the one that tends to stick in gamers’ minds is the device Nintendo would have us forget. The Virtual Boy is considered the whipping boy of the gaming community and was even disowned by Nintendo after the lack of sales hurt the gaming giant. 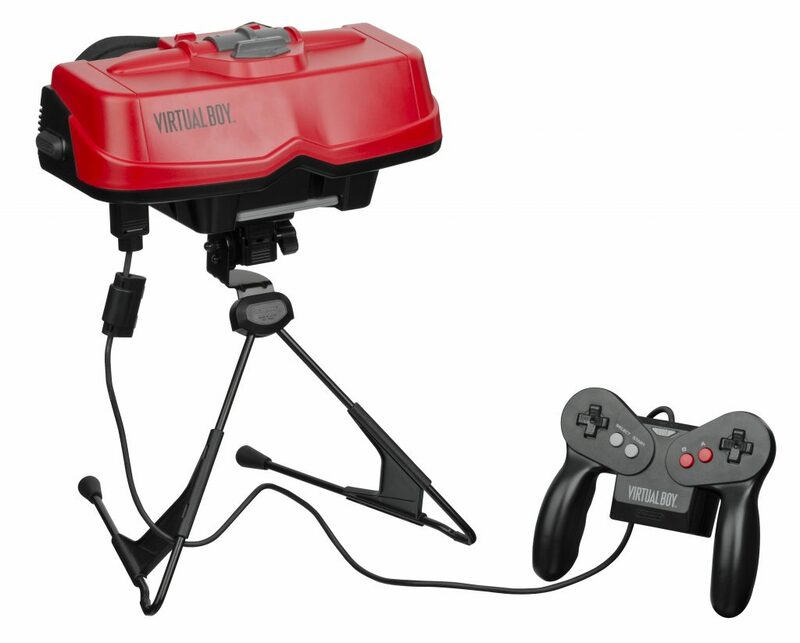 According to some reports, the Virtual Boy sold roughly 770,000 units worldwide during its brief life span–and only 140,000 units in its native Japan. For comparison the previous console, the Super Famicom, sold at least 20 million units worldwide by 1995. The NES sold 61.9 million units. The Game Boy sold 40 million. But there, in the middle of this streak was the Virtual Boy with its comparably insignificant sales numbers. In the 2010s, Oculus VR, a start-up company decided to release a Kickstarter project for their Oculus Rift virtual reality goggles. Unbeknownst to them, the Oculus Rift began the love affair with virtual reality all over again. 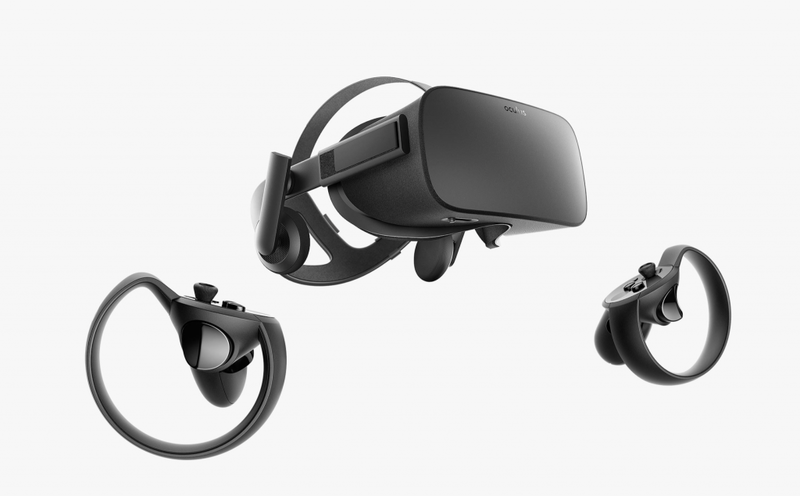 On the outside, the Oculus Rift doesn’t look like much: a matte-black box, roughly the size of a brick, that hangs from the face like giant ski goggles, with a tangle of cords running from the back of your head to the back of a small desktop computer. It looks futuristic; the kind of thing a teenager might create to approximate his vision of the future, which is exactly how this particular device came into being. The Rift’s creator, Palmer Luckey, was a 17-year-old sci-fi enthusiast when he started building the prototype in his parents’ garage in Long Beach, California. Thanks in part to Luckey, there are now a wealth of options to choose from in addition to the Oculus Rift: the HTC Vive, Google Cardboard, PlayStation VR, and many more. For those interested in PC VR, Microsoft’s plans for Windows 10 virtual reality are worth a mention, mainly because HP, Dell, Lenovo & Acer are set to allegedly slash the price of VR headsets for PC owners. The new headsets are due to go on sale in the second half of 2017, for between $300.00 and $400.00 USD. According to technical previews, they should work with more modestly-specced PCs than the first cohort of headsets. All that is known so far is that the headsets have a headband-style design, will have two depth sensing cameras on the front for room-scale tracking without extra sensors, and that there may be some cross-platform apps for both Windows VR and HoloLens. If you are in the market for a new VR headset, it might be worth holding on to see how these devices perform. The VR industry is both old and young. It is new technology, yet at the same time a very seasoned idea. 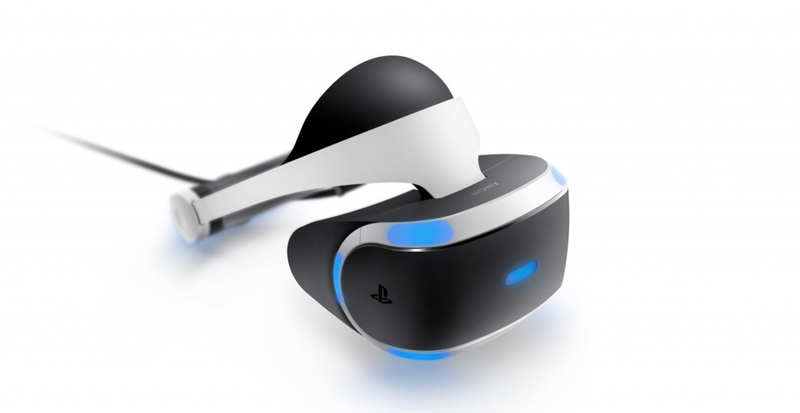 From my personal experience with the latest VR tech (the PlayStation VR), I think it is officially here to stay. Surprisingly, the gaming aspect of virtual reality is the least impressive part of it to me. Though the games are immersive, there are not many gripping narratives available for gamers. An enticing storyline is a large aspect of what has allowed the gaming industry to grow so exponentially in the past decade, and developers need to ensure that this quality does not suffer in their attempts to immerse gamers physical senses. Mental immersion is an equally integral aspect of playing games. Here is a perfect example: I played Eve: Valkyrie and it immediately felt like I was in an episode of Battlestar Galactica, shooting through space at breakneck speeds and taking down other pilots. The online aspect allowed for incredible interstellar battles that felt wonderfully realistic and immersive. I got butterflies in my stomach every time I took off into battle, and it was an exhilarating feeling, but the story was completely forgettable. This is an issue I have had with many of the VR games released thus far, with the exception of several titles, such as Resident Evil 7. I also had minor health issues with the PlayStation VR, and experienced motion sickness after only an hour of gameplay. I would recommend that if you feel motion sickness or nausea coming on to be sure to take off the VR helmet immediately. Not everyone will suffer from this, but it is important to be aware of this potential issue, especially if you have never used virtual reality and do not know how your body may respond to the complete immersion. What was fascinating about this was that not all the VR games I played gave off this nauseating feeling. The Playroom is a prime example of what many players have been hoping VR would become. Almost every game was inclusive; a full party atmosphere with five players. Four players with controllers competing against the player with the VR headset. It was immersive, fun and was enjoyable for every age. Was it gimmicky? Yes, but it was also a lot of fun to experience, similar to the first time using the Nintendo Wii with friends. The best part of my VR experience and the element that I think will likely cement it for gamers and general audiences is the ability to be fully immersed in films, thanks to an app available on the PlayStation 4 called Littlstar VR Cinema. This unlocked the full potential of the VR tech, and I fell in love with it. The many different avenues that virtual reality can tap into were unveiled, and I was astounded by some of the sights I saw. One particular highlight was a sample performance from the Broadway musical The Lion King. It was all encompassing, and it is this merging of two forms of technology and entertainment that shows the potential of the hardware and the possible prospects for entertainment. With the pricing and accessibility of virtual reality headsets becoming less and less of a roadblock as we move forward the inevitable question has to be asked: What is next? From my experiences, I found the most impressive and immersive aspects of VR to come from when I was watching a movie and unfortunately less from the video games. Out of all the gaming experiences I had, the party atmosphere from The Playroom VR was the most enjoyable and memorable. I personally believe even though VR is an immersive system by definition, it is still something that is best experienced with friends and family. That is one of the reasons I would argue that VR films will be the core avenue through which this technology will continue to grow and flourish. Having an emotional and immersive experience available to you is by far the most enticing aspect of VR. Ultimately with the combination of the encapsulating cinematic experience and the vast potential for gaming, the future of virtual reality is looking bright. JungleDrums: Episode 17 – E3 Hype, Morrowind and more!